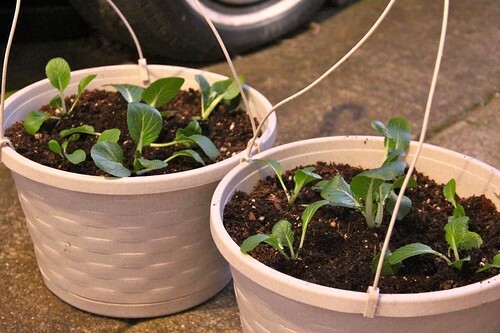 I planted the Bok Choy seedling into hanging pots in out front yard, since there is more light there. 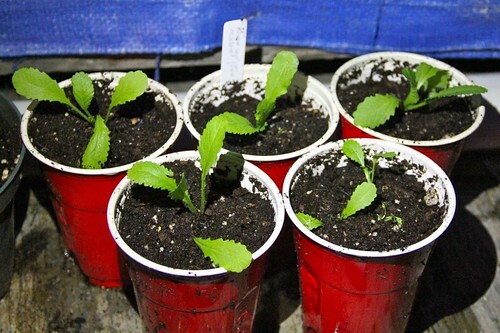 I’ll plant another batch in a few days for the backyard garden. I also potted up the Broad Leaf Mustard from the Jiffy Peat Pellets into a large pot (Solo drinking cup) to get them to grow a little bigger before planting them out. 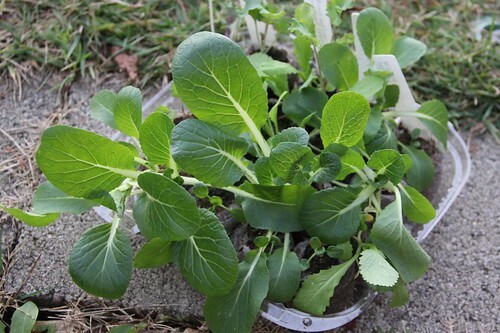 This entry was posted in Gardening and tagged backdated, bok choy, mustard broad leaf. Bookmark the permalink.